Dr. Locksmith Winnipeg takes pride in providing all commercial locksmith, residential locksmith, and automotive locksmith services in and around Winnipeg 24 hours a day for 7 days a week. All of our emergency locksmith technicians have been fully licensed, insured, and bonded, and can guarantee a personal service warranty on all work performed so you will never need to be concerned about the quality of service you receive. Dr. Locksmith Winnipeg offers low and competitive prices, coupled with quick response times to any call within Winnipeg and surrounding area in order to serve you better. You can call us at any time - even outside your regular operating and business hours - in order to get your emergency locksmith situation taken care of, 24/7. Dr. Locksmith Winnipeg offers a completely mobile locksmith service which enables us to be on site at most emergency calls in less than 20 minutes. Here at Dr. Locksmith Winnipeg, we understand that accidents and emergencies happen all the time and can be very stressfull; but with just one quick phone call to Dr. Locksmith Winnipeg and one of our highly skilled professional technicians will be on their way directly to your location to put all your worries to rest. 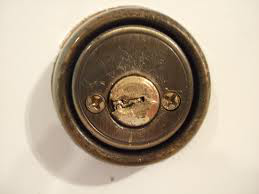 Lockouts are the most popular service that locksmiths receive. 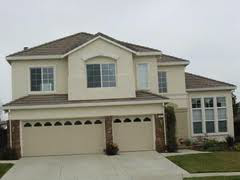 Whether you've misplaced or lost your keys, or your kid or even pet (yes, that has happened) accidently flipped the thumbturn, or many other potential scenarios where you find yourselves staring at your locked house door, Dr. Locksmith Winnipeg knows you need to get into your home as soon as possible, for the lowest possible price, and no damage done. Good thing you called the pros! Since 2004 car makers have been including transponder computer chips inside car keys in order to make the vehicles more difficult to steal and to increase overall security. It is therefore also more tasking to duplicate this kind of key. However, not only can Dr. Locksmith Winnipeg's automotive technicians duplicate or reprogram keys for nearly every car and model on the road, they can even create them from scratch if you happen to have lost them! 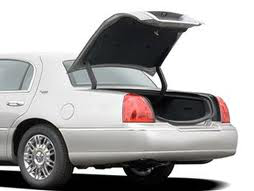 Sometimes we can be a bit forgetful, and one of the most annoying situations is locking your car keys in the trunk. Dr. Locksmith Winnipeg is here to get them back no matter what you drive. Opening a locked trunk can be a bit more difficult than your standard door, but with the right tools and expertise, anything is possible! Changes in weather and worn out keys can lead to your house key breaking inside of the lock. Dr. Locksmith Winnipeg's professional locksmiths can extract your key without damaging your lock, and can even cut you a new one. We use special tools so you may leave the blowtorch and crowbar for other home improvement projects! Dr. Locksmith Winnipeg's automotive locksmith specialists have been trained in the latest emergency locksmith technologies including cutting and programming keys for almost any vehicle on the road. In the cases of lost car keys, broken car keys, or even stolen car keys, we would be able to cut you a brand new key and program it so that it may start your car. 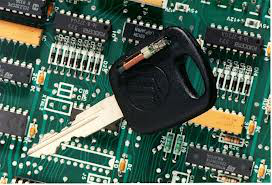 Will your lost stolen key be able to turn your ignition on for the thieves to get away with also stealing your car? No, we will delete and unprogram the old keys so that you may rest assured the only place your car is going is exactly where you want it to go. Have you ever been searching for your car keys only to realize they are staring at you from inside the ignition of your car and all the doors are locked? Don’t worry we have all been there before. One quick phone call to Dr. Locksmith Winnipeg, the area’s leading emergency locksmith company, and we can help you get back into your car with no damage done, in no time - with a fast response time, we will have your door open before your neighbours start to try to help because when you break that window to get in, just remember that you will have to fix it. When Dr. Locksmith Winnipeg says 24/7 we truly mean it; our emergency locksmith services are available 24 hours a day 7 days a week for the same great low prices you have become accustomed to when dealing with then highest rated Winnipeg locksmith company. So go ahead and give one of our friendly customer service representatives a call anyime, 24/7, and we will dispatch our friendly and professional emergency locksmith technicians right to your location and resolve your locksmith problems. That way you may go back to doing whatever it is that you do, as quickly as possible, worry-free.